The Extra Helping Food Drive is kicking in April 19th until May 9th 2013 . This event supports food banks in a three week event that takes place twice a year, in Spring and over the Holiday Season. The campaign’s objective is to drive donations to food bank communities across Canada. Every Friday from 5-7 pm and Saturday from 11 am – 1 pm and 1 pm – 3 pm starting April 19th until May 9th 2013 at all local Loblaw store in Kitchener and Waterloo (Zehrs, No Frills, Value-mart and Canadian Superstore). See link below for a store near you. How to Dig In May 4th!!! On Saturday May 4th, our one Day Food Drive will be running at donation site across KW. There will be select grocery stores that require volunteers to hand out food drive bags to customers at the store entrance for 2–3 hour shifts. If you are interested in signing up for Dig in on Saturday May 4th please sign up at the bottom of the schedule with your name and email. A Dig In sign up schedule will be emailed to you separately with assigned stores. 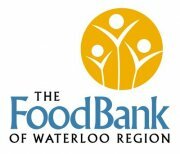 Volunteers are needed to assist stores in promoting this event and encouraging donations of food and cash for The Food Bank of Waterloo Region. Volunteers will be giving out handbills to customers as they enter the store and must be willing to talk to customers, be friendly, outgoing and represent us well in the community. Please find below 2 links to the volunteer schedule. One link is for Kitchener stores and one link is for Waterloo Stores. Please click on the link for your city of choice and schedule yourself in for the shift you would like to volunteer at. There is a link to each store to easily access the store of your choice. Clink of the store name. If the link doesn’t take you directly to the store’s schedule when you click on it, please click on the word “bookmark” (sorry – small glitch). Include full name, e-mail contact and YES or NO that you are attending the training session Tuesday April 16th at 7 pm. If you are part of a group- please indicate on schedule under your name. Training is held at The Food Bank of Waterloo Region Community Room at 50 Alpine Court on Tuesday April 16th at 7:00 pm – 8:00 pm. You must RSVP for the date you can attend. If you cannot attend those dates, you must indicate it on the schedule to be emailed instructions.